We have the best staff. We are very proud of the people that are on hand to care for your family member. Everyone that works at Doggie Day Play has been trained extensively in the nature of dog behavior and body language. 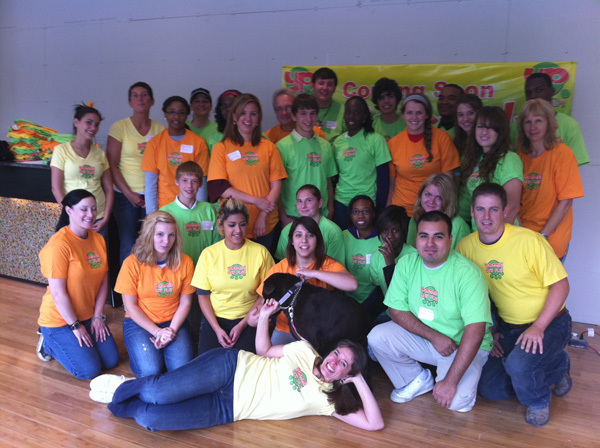 Our staff manages the play groups to create groups that will compliment each other’s common characteristics. We do not just put all big dogs together just because they’re big. We learn the personality of our guests to find the right mix of play friends and to minimize the chance of skirmishes. Our staff has been trained in dog CPR and first aid to ensure the safety of every guest in our care. Training is a cornerstone of our staffing philosophy. To this end, every staff member goes through regular training in three areas; Guest Care, Cleaning, and Standards of Operation. We think that good manners, honesty and love for our guests are the best we can offer our human and canine clients.